A lifetime of flavor and inspiration captured in every bottle. All timeless recipes are rooted in tradition, as well as the successful culmination of years of trial and error. 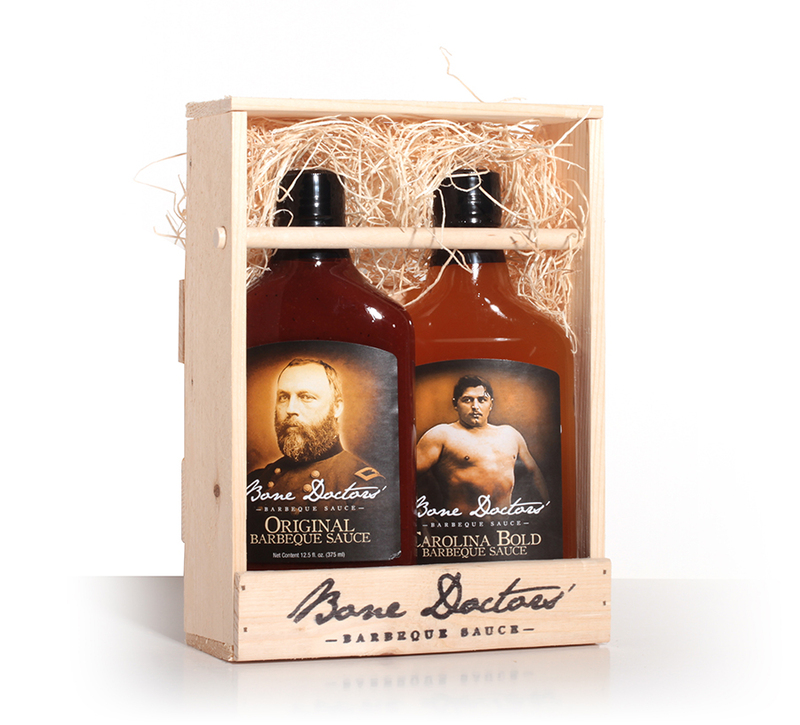 Bone Doctors’ BBQ Sauce is no different, drawing on inspiration and insight from the lives of creators, Dr. David Heilbronner and Dr. Bruce Wilhelmsen. 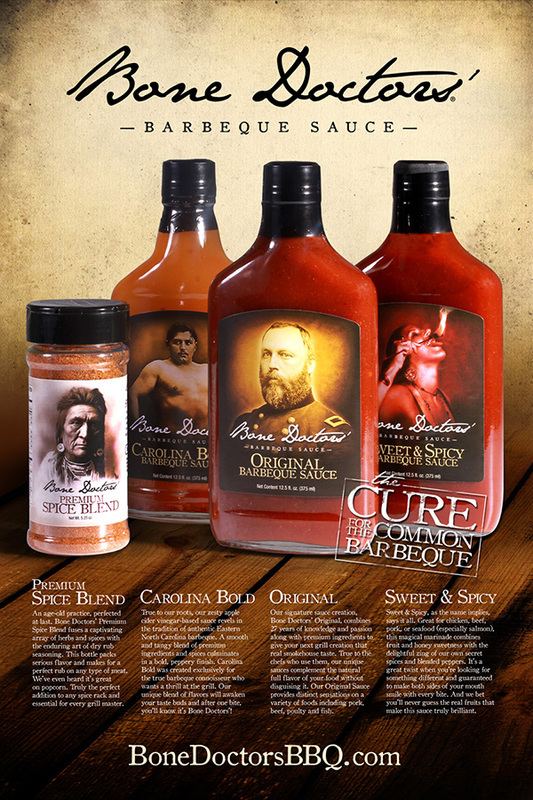 In January of 2009, two orthopedic surgeons (bone doctors) reached out to Evolve with a humble inquiry to see if we could help them take their hobby into a realized vision for a producing barbecue sauce brand. Barbecue is one of the most amped up and competitive food categories in the world, and the challenge to Evolve wasn’t taken lightly. After meeting Bruce and David, we knew these guys were onto something. The trick was to help them share their passion with the world. We worked to create a brand identity that was true to their roots and to their desire to keep things fun and as simple as the natural ingredients they used in their sauce. Our approach was simple—figure out how to stand out on a crowded shelf, and convince people to try the sauce; the sauce would do the work of winning a repeat customer. 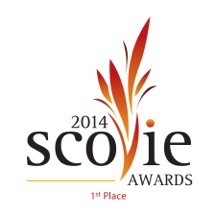 Evolve’s Scovie Award winning work did just that, and the rest is history. 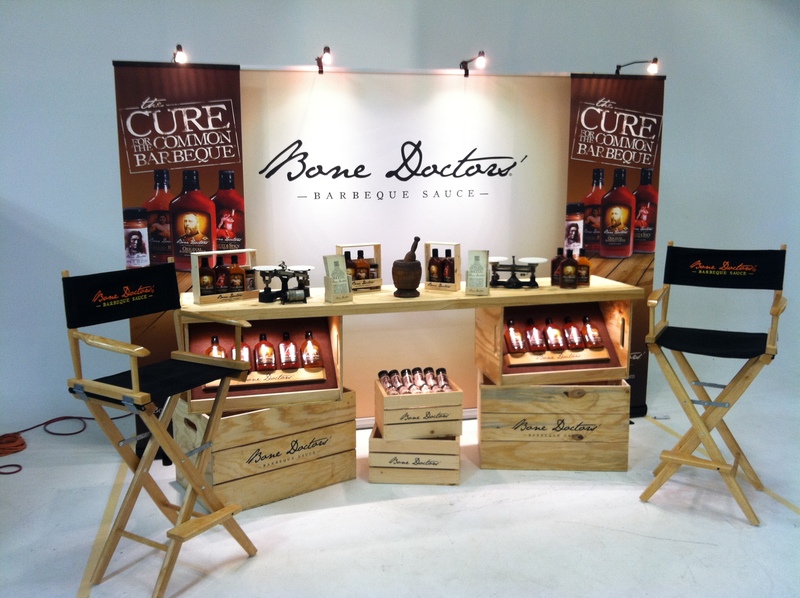 Since launching the brand in 2009, the Bone Doctors and Evolve have expanded the product line into 7 products that are sold in over 5 countries around the world and in prestigious retailers like Whole Foods, Wegman’s, and The Fresh Market to name a few.